Were you married at Peace Memorial? Were your children baptized at Peace Memorial? Does Peace Memorial hold a special place in your heart? Peace Memorial Presbyterian Church is pleased to introduce its 125th Commemorative Woodblock Print. This print is a reproduction of a smaller 3"x5" postcard found tucked away in the back of the church safe. Each limited edition print is signed and numbered by Jeff Haynes, local artist and longtime member of Peace Memorial. Jeff was able to reproduce this special find to commemorate 125 Years of Peace. Learn more about Jeff's traditional woodcut printing process at Jughead Prints - jugheadprints.com. We are grateful to draw upon Jeff's gifts to capture the simple beauty of Peace Memorial's iconic bell tower - standing for peace in Downtown Clearwater since 1891. 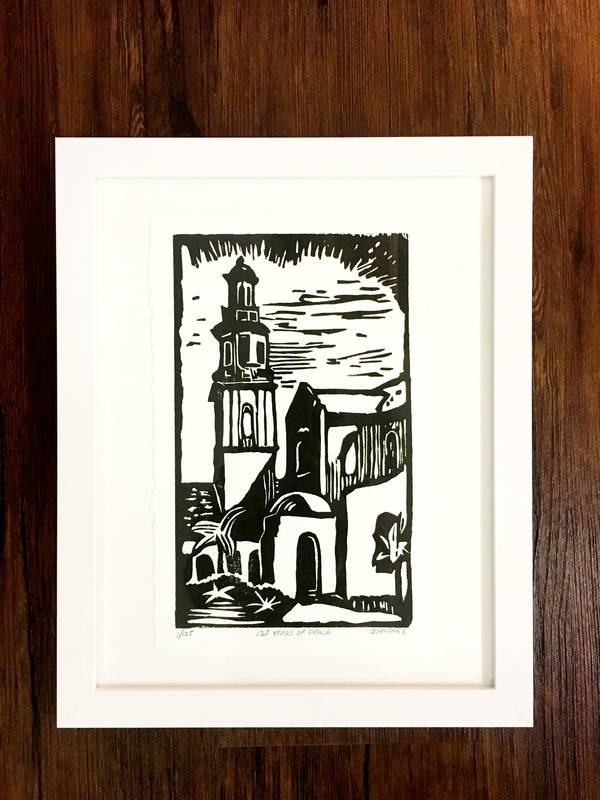 The 6.5"x10.5" woodcut is printed on white archival heavy-weight paper. It is mounted on 11x14 white matte and is ready for framing.